I love bite sized food for parties. And the more you can pack into the bite, the better! Bold flavors layer so beautifully in a small bite. This recipe uses my plant based meat alternative in place of the traditional ground beef base of a taco. If you prefer to use the latter, go ahead! If you are interested in an unprocessed, plant based, meat alternative, check out my recipe for it HERE. These adorable cups are made from simple corn tortillas you can find at any grocery store. They are shaped in mini muffin tins. 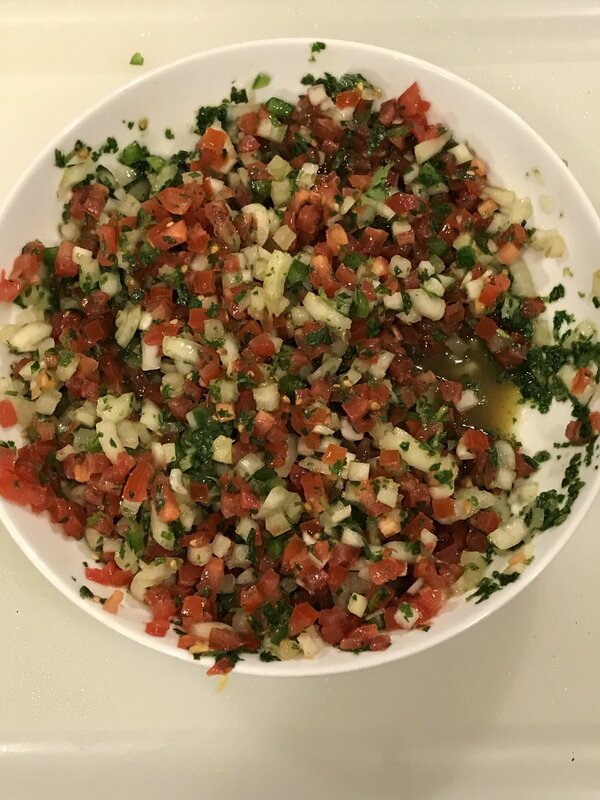 And if you haven't made homemade pico de gallo before, are you in for a treat! It is one of the simplest and most delicious things you can make homemade. I have had the pleasure of learning how to make it from Cuban, Guatemalan, Venezuelan and Columbian friends and this is my homage to them all. Everyone has an opinion on how to dice the veggies. For me, I prefer to use my Vidalia Onion Chopper because it gives me a perfect 1/4" dice every time. 2. 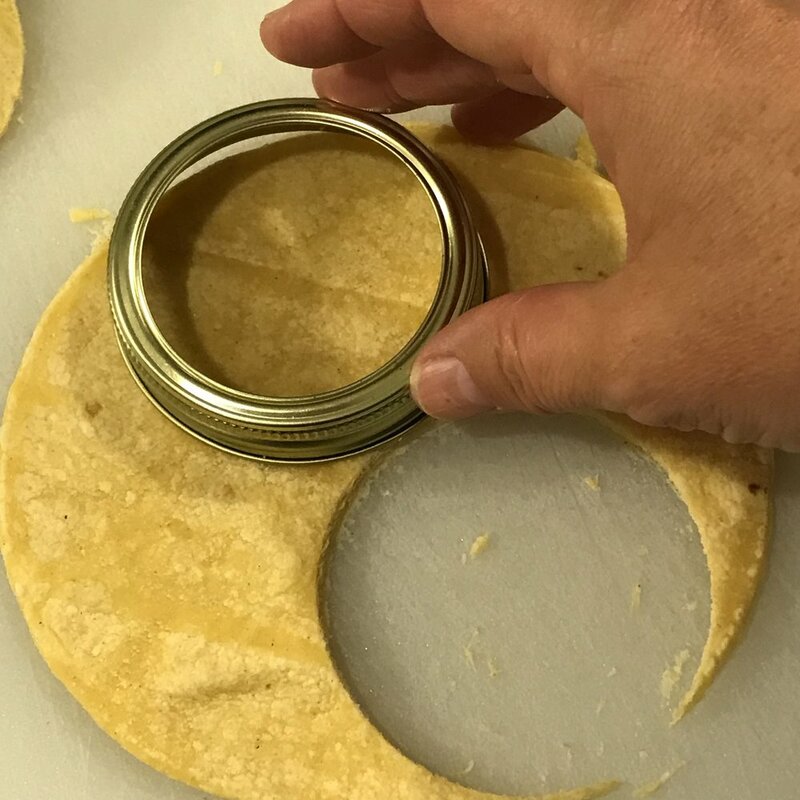 Using a biscuit cutter (or a mason jar lid will work just fine), cut 2 discs from each tortilla (you need a total of 12). 3. Wrap the corn tortilla discs in a damp paper towel and microwave for 30 seconds. 4. Place each tortilla in a cup of the muffin tin, working them down inside. 6. Let cool on stove for 5 minutes before touching them. 7. Finely dice the tomato, onion, cilantro and jalapeño. Mix in a bowl with the lime juice and salt to taste. 8. Leave alone for a few minutes to let the flavors marry. 9. 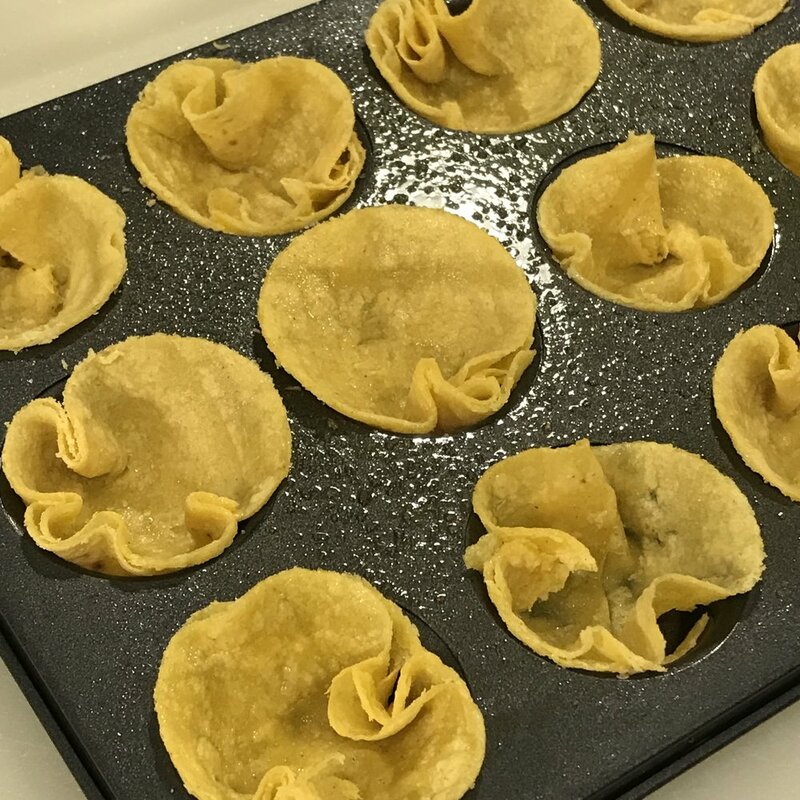 Assemble the mini tortilla cups carefully! Enjoy!